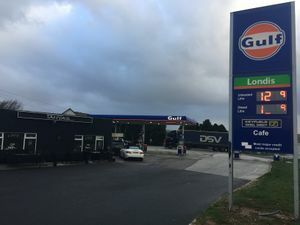 A service station next to the eastbound side of the newly-dualled A30. A garage was built in the 1950s, with a building called Robrosa. Penlan Eating House was based here, but this closed in August 2012 following health and safety issues. The shop was formerly branded as Spar, then Londis for a short period of time, and then spent around six years branded as an own-branded shop. It is a former Shell filling station site.